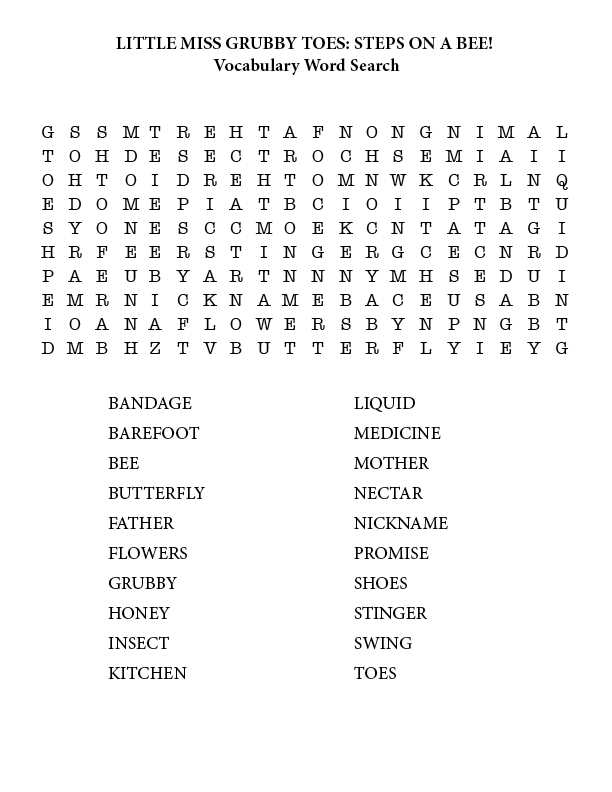 Put readers’ skills to the test with our Grubby Toes reader word search. Can your reader find all the words related to the book, vocabulary words, and Grubby Toes events? See how many of the Grubby Toes words readers can find and have fun with this free puzzle game. This teaching resource is a fun and easy activity that will keep students happy and save teachers time.